The project focuses on accurate segmentation of different tissue types including tumor and other abnormalities in the brain. Due to tumors’ highly diffusive and infiltrative nature, it is difficult to distinguish tumor from healthy brain tissue. 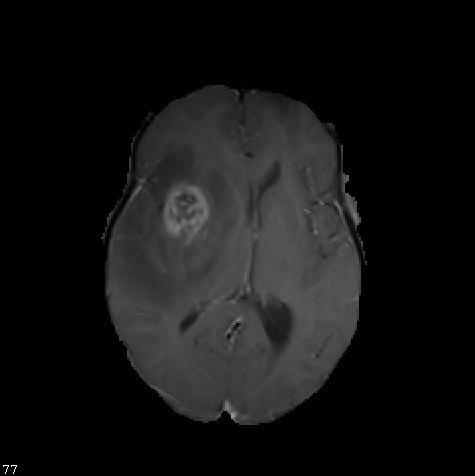 Simulation of tumor growth based on mathematical models can provide reasonable prediction of tumor trajectory in longitudinal brain studies. A model based on cell proliferation and diffusion has been developed to use for simulating the tumor growth. 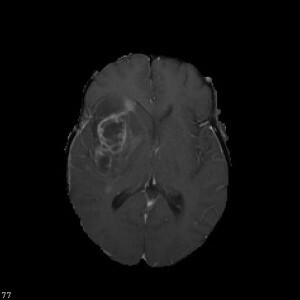 To improve the quality of simulation, we will study novel information theoretic models to fuse atlas-based mathematical tumor growth to our feature-based techniques for improved segmentation of normal and abnormal brain tissues.